Gillingham booked their place in the third round of the FA Cup thanks to a deserved 2-1 win at Stockport. League Two side Gillingham earned an FA Cup third round tie against Premier League giants Aston Villa thanks to a deserved 2-1 win at Stockport on Tuesday. 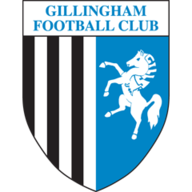 Andy Barcham was the Gills' hero as he scored twice after Mark Stimson's side had gone behind early on. 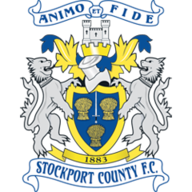 Stephen Gleeson put Stockport in front against the run of play after 17 minutes when he fired home from 15 yards, beating Simon Royce at his near post. However, two goals in nine minutes from Barcham powered the visitors into the lead. The equaliser came in the 24th minute as he fired home from a tight angle following Simeon Jackson's neat pass. Barcham then doubled his and Gillingham's tally when he crashed home again following Adam Miller's excellent through ball. Tommy Rowe missed Stockport's best second-half chance to level, Royce saving his close-range effort superbly.